The Sullys Hill Nature trail provides over 2 miles of designated trails for your viewing pleasure. Hike through woodland, wetland and prairie habitats while enjoying North Dakota outdoors! Location: The Nature Trail is within the boundaries of Sullys HIll National Game Preserve, 12 miles south of Devils Lake ND on Hwy 57. From Devils Lake, ND follow highways 20/57 south 12 miles enter the Preserve on the left side of highway 57. The trail begins at the southwest corner of the visitor center parking lot. Way-finding signs (maps) are posted at each intersection of the trail with segment lengths identified. The Sullys Hill Nature Trail is a scenic trail which gives the visitor a unique chance to walk through prairie, wetland and forest ecosystems not usually found together in North Dakota. From the trail the visitor has a chance to see mammals, birds, wetlands, woodlands, Devils Lake (the largest natural lake in North Dakota), and native grasslands. While close to Bison and Elk that reside at the Preserve, the trail is in an area separated from the large animals. 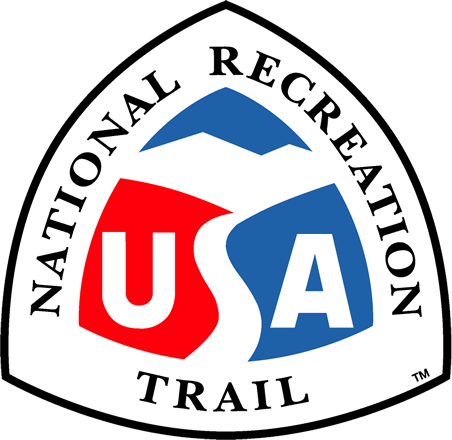 The trail provides more than miles of viewing opportunity and is often used by members of the local community and the surrounding Spirit Lake Indian Reservation. In 1904, Sullys Hill National Game Preserve was set aside by President Theodore Roosevelt. At Sullys Hill, The U.S. Fish and Wildlife Service focuses its efforts on preserving wildlife and their habitats and offering wildlife-oriented recreation. The Service provides conservation education to a variety of public groups. The Preserve is 1,674 acres and is comprised of a big game unit, as well as a separate prairie unit. The wooded, glacial moraine hills and native grasslands of Sullys Hill are a unique setting in North Dakota. In addition to seeing bison, visitors can observe elk, white-tailed deer, and black-tailed prairie dogs. Trail features. Photo by Laura Grant.